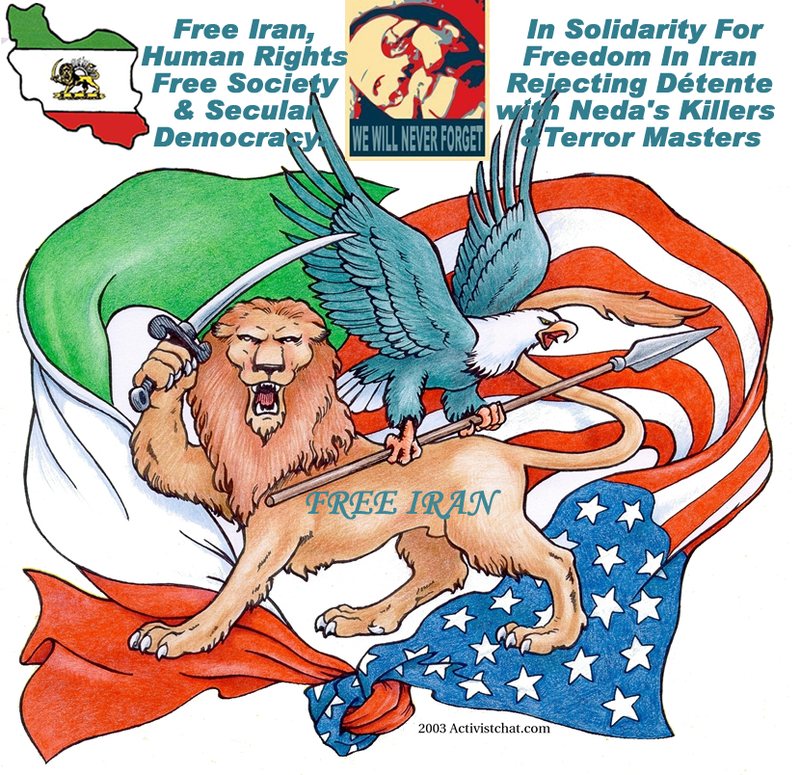 What Is American People Fourth Of July Message For Neda and FREE Iran? Sen. McCain says that Americans stand "with the millions of Iranians who brave batons, imprisonment, and gunfire to have their voices heard and their votes counted." What Is Neda's Fourth Of July Message? Neda, the young and beautiful freedom-loving Iranian student was slain in cold-blood by the current Islamic regime in Iran. 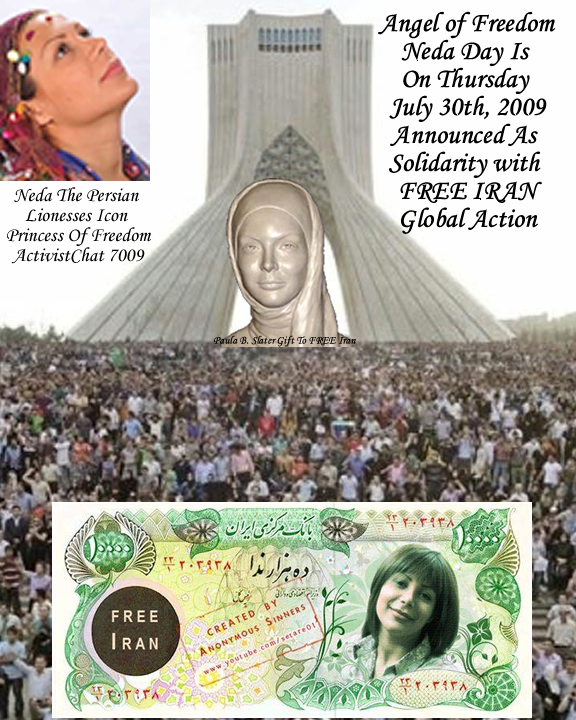 Almost instantly, Neda became, not only the divine call of the Iranian uprising, but, she symbolized the call for liberty around the globe. Here's the video of Richard Roth's report which contained the image of Neda. If either President Ronald Reagan or President John F. Kennedy were alive today, they would stand in solidarity with the Iranian people. In fact, they would declare �Today we all are Iranians." 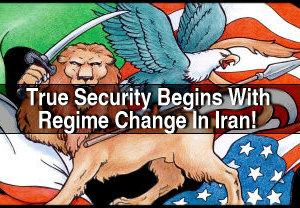 It appears the Iranian people are showing the world what a revolution looks like and some Americans have started paying close attention and taking notes. We are going through some troubled times in America. We Americans need to wake up and realize that our liberties and freedoms that we are taking for granted are slowly and inexorably being taken from us. Once we lose it, it is very hard to get it back. 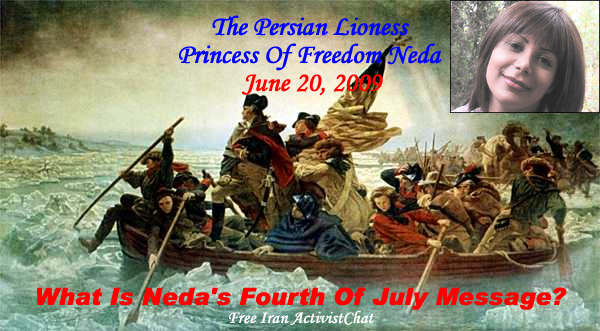 Let the blood of the Persian freedom-fighter, Neda, inspires all of us to cherish our liberty. �We are fighting and dying on the streets of Tehran to have what you have had for more than two centuries. You, America, have been an inspiration to millions of us in Iran to become free, free to roam, free to grow, and free to bloom,� Neda would have said. As we celebrate the 4th of July, it is my hope that all freedom-loving Americans remain mindful of how precious that day is to our country's storied history. On July 4, 1776, America declared its independence from England, the old white grandfather across the sea. The miracle of America happened, and its dynamic birth rapidly changed the entire world. Neda would have wished her blood would cause the Iranians to gain their freedom and our two countries once again become the staunchest friends. America is a nation and an ideal, birthed by a group of visionaries that gave it the Constitution to nurture it and protect it. What makes America, �America the Beautiful,� more than just a blessed land is your legacy, the Constitution. Sadly, the Constitution also makes for �America the vulnerable� by enshrining freedom that enables the malevolent to subvert and destroy America from within. You are the guardian of the Constitution. You and only you determine the health and survival of America. Democracy, by its accommodating and benign nature is susceptible to corruption and even destruction by forces from within and from without. With this realization in mind, the founding fathers of your country enshrined the constitution to safeguard and protect the rule of the people. America is defined by the last phrase of our national anthem: The land of the free and the home of the brave. Freedom, in all its forms, is our greatest legacy, for which our nation has bravely fought many wars on many fronts to preserve against the unceasing assaults of totalitarianism of all stripes. Time and again, the flowers of our nation bravely sacrificed their lives to protect freedom and liberty. I am reminded by the words of our great President Abraham Lincoln when he, in 1863, described our nation as "a government of the people, by the people, and for the people.� Is this still the case, or how much government stealing from us? In 1776, our Founders stood up, put their lives and fortunes on the line and declared their freedom and independence from the chains and shackles of the King of Britain. I hope all Americans once again, unite for the love of freedom and are willing to stand up and declare their Freedom and Independence, not from the King of Britain, but from the chains and shackles of our own government and their lackeys. First things first. Our highest priority is the preservation of this nation of the free. We have done what it took in the past and we must do what it takes now and in the future to safeguard our precious liberty. America is not perfect. Yet, it is the very best hope for a humanity struggling to find its humanness. America is worth defending. For the past 30 years, an illegitimate government of the Islamic Republic has been waging a brutal war against the entire population of Iran. For 30 years Iranians have been fighting for individual and religious freedom. Iranians, have suffered so much, and they are risking their lives and ready to die so that the next Iranian generation does not have to live in the nightmare of a backward Islamic barbarity. In conclusion, I would like to thank all Americans who wrote songs and poems in remembrance of a freedom-loving Iranian patriot, Neda. My special thanks goes out to United States Senator McCain who spoke on the floor of the U.S. Senate, remembering the champion of freedom, Neda, and to the honorable Congressman McCotter�s beautiful eulogy about Neda�s assassination by the direct order of the supreme leader, Ayatollah Ali Khamenei. I am eternally grateful for millions of people who have kept Neda�s memory alive. Regrettably, President Obama has stated he wants to make a deal with Neda�s murderers. America, now it is up to you to object to any negotiations with those who murdered our freedom-loving and innocent human being, Neda. Sen. John McCain (R-AZ) discusses Americans' appreciation for the 4th of July and points to the universal rights proclaimed in the Declaration of Independence, saying, "the world must never doubt where we stand on the liberation struggles of our time." 4) Watch Video: Sen. John McCain on Iran and on protest crackdown but mainly focuses on the death of the woman known as "Neda," who was killed and her video posted on YouTube. 7) Various Artists- N. E. D. A. This is a beautiful and extremely moving song in tribute to the beautiful Neda who has touched all of our hearts. Thank you Ali. It�s stunning. RIP Neda. We will always love you and never forget you. Please light a candle for Neda. This website is dedicated to those brave Iranians who have lost their lives during peaceful protests for democracy which took place after the disputed 12 June 2009 election results in Iran. Let us light up ONE MILLION candles in memory of these brave individuals. THIS IS THE ONLY WAY TO WIN THE WAR ON Islamists TAAZI Invaders and Occupiers Of Iran - THE WAR Of IDEAS FOR FREEDOM, HUMAN RIGHTS, SECULAR DEMOCRACY IS UNWINNABLE AS LONG AS THE MULLAHS ARE IN POWER - SUPPORT THE IRANIAN PEOPLE AND REAP THE REWARDS OF A FREE IRAN WITH 70 MILLION IRANIANS WHO WILL FIGHT ALONGSIDE THE FORCES OF FREEDOM AND AGAINST THE ISLAMIST FANATICS!! This might be considered as a wake up call for all freedom loving American women (Right, left & Center) to see the danger of Islamists against women and free society. Candlelight vigil for Neda in Washington, DC. Thursday, July 30. Sponsored by Iranian-American Youth. Historians and archaeologists are entrusted with the task of examining and narrating the past. These tasks require the historian to be as balanced and neutral as possible in his or her writings. The events of June 2009 have certainly put that requirement (upon this writer at least) to the test. What has attracted the attention of the world media has been the assertive role of Iranian women in the political protests, especially the young student, Neda Agha-Soltan, who was killed on June 20, 2009 as she engaged in political protests in Tehran. The young Iranian girl Neda Agha-Soltan who was shot by security forces on Tehran�s Karegar Street on June 20, 2009. Neda represents the immortal spirit of the women of Iran who have often been at the forefront of political and social change across centuries of Iranian history. Though fallen, Neda represents the immortal spirit of the women of Iran. This article aims to highlight the importance, leadership and deeply rooted courage of Iranian women throughout the history of Iran since ancient times. The women of Iran have been participants and engines of civil and political change throughout Iran�s ancient history. Below are a few examples that highlight the role tghat Iranian women have played in the history of Iran. 2) Watch Video: Sen. John McCain on Iran and on protest crackdown but mainly focuses on the death of the woman known as "Neda," who was killed and her video posted on YouTube. Posted: Tue Jun 30, 2009 6:15 pm Post subject: Please light a candle for Neda. که درضیافت حزب دموکرات در اورنج کانتی (جنوب کالیفرنیا) اجرا کرد. و خوانده است که همین امشب (ساعاتی پیش) روی وبسایت یو تیوب قرار گرفت. این آهنگ آزادی نام دارد. روی لینک زیر کلیک کنید و آنرا بشنوید. Posted: Fri Jul 03, 2009 1:21 am Post subject: Message From Neda - Hang on! Be Strong! Watch Video Message From Neda - Hang on! Be Strong! The people striving towards freedom and against oppression are not alone! Protests are going on around the world. We have a moral and ethical obligation to speak out for those who are seeking the very freedoms we, in many countries, take for granted. 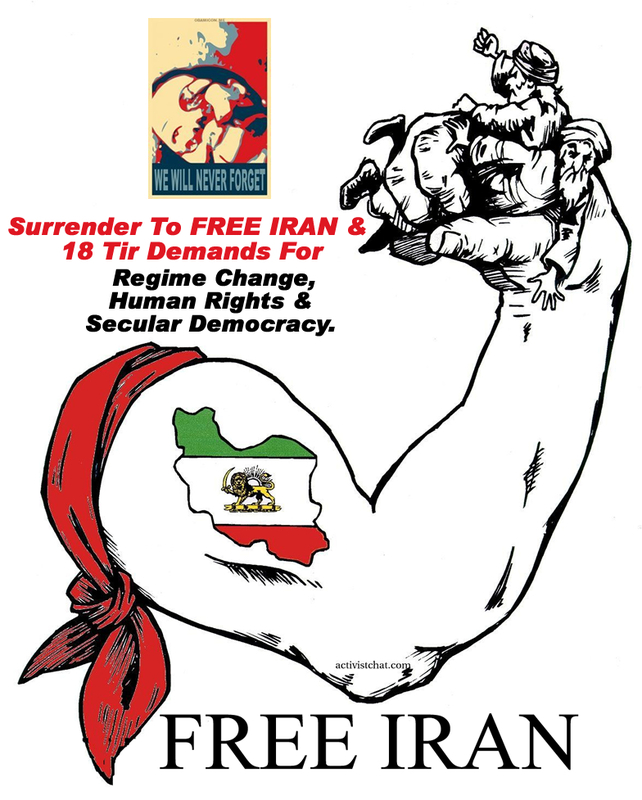 ActivistChat Gives You Permission To Publish & Print This Image In Any Size Poster For Any FREE Iran Protests or Create Stickers For Car �. As Long As You Give It To Others For FREE In Memory Of Neda and All Fallen Heroes For Freedom �.